Prepare for Boarding... No Quarter! 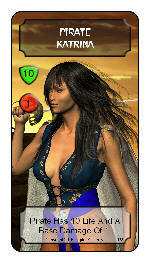 Swordplay: Pirates is a fast paced non-collectible card game of swashbuckling combat on the High Seas. 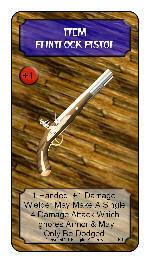 Send your bilge-sucking opponent to Davy Jones' Locker with a wide array of blades, black powder weapons, and deadly combat moves suitable for any Sea Dog worth his salt. 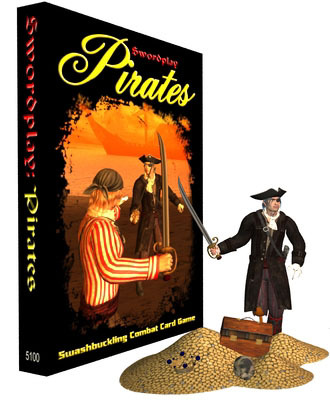 Includes everything needed for play including two pirate cards, a combat deck, damage markers, dice and rules for two player duels, multi-player battles and combining this game with Swordplay: Arena for cross-era battles.